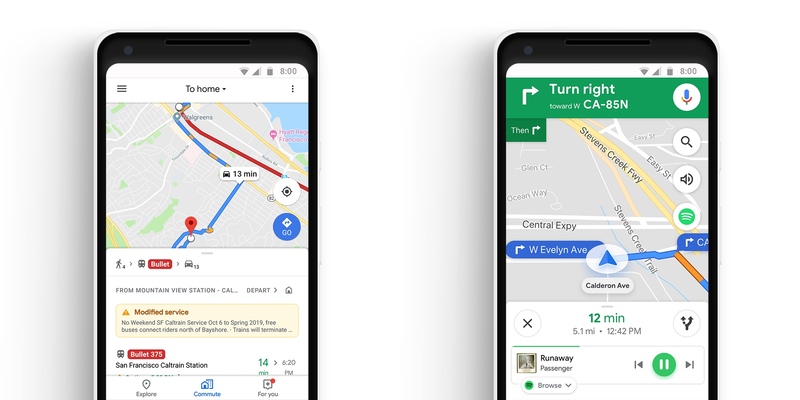 While Google Maps is particularly useful for road trips and vacation, the app can also be useful for stressful commutes. Google is resurfacing some of those features with a new ‘Commute’ tab. Now, you need to activate ‘web & app activity’, the infamous all-encompassing privacy destroyer — I used to store my home and work address and I can no longer change those addresses without enabling that. If you activate that setting, Google will collect your search history, your Chrome browsing history, your location, your credit card purchases and more. And Google nudges you to activate that “feature” all the time. You need to turn on ‘web & app activity’ to use Google Assistant on an Android device for instance. It’s becoming quite clear that Google is monetizing its newest features with your data. In other news, Google is also adding music controls in Google Maps. You’ll be able to control Spotify, Apple Music and Google Play Music. It looks like the company is taking advantage of taller screens to add a banner near the bottom of the screen with the current song and the ability to skip a song or pause the music. There will be a new button on the right to open your music app as well. Spotify users on Android will also be able to browse the Spotify library from Google Maps directly.